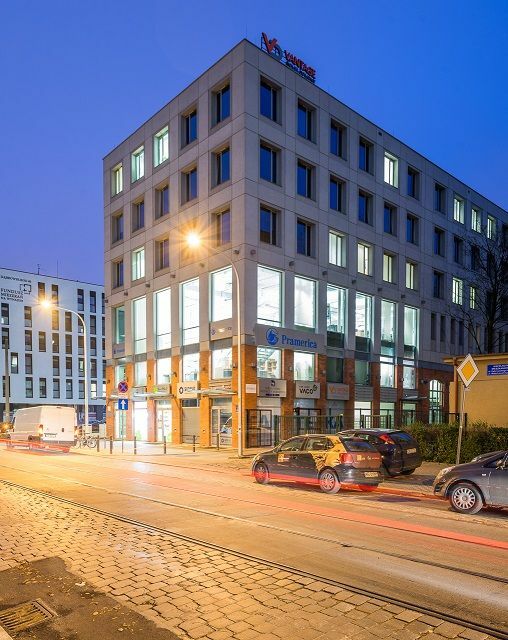 POLAND Vantage Development group has signed a conditional agreement for the sale of the Delta 44 office building in Wrocław to M7 Czech Republic for PLN 28.7 mln. The building at ul. Dąbrowskiego 44which serves as the headquarters of Vantage Development was designed by the ASPA studio and it has a useable area of almost 3,700 sqm including office retail and warehouse space. The property is located, in the very centre of Wrocław, at PKP and PKS stations. Other tenants include Pramerica, Vaco and InviMed. The final sale agreement for the perpetual usufruct to the land on which the building stands is to be concluded on April 30th, 2019.